Delight your customers with these customer service templates for your business. 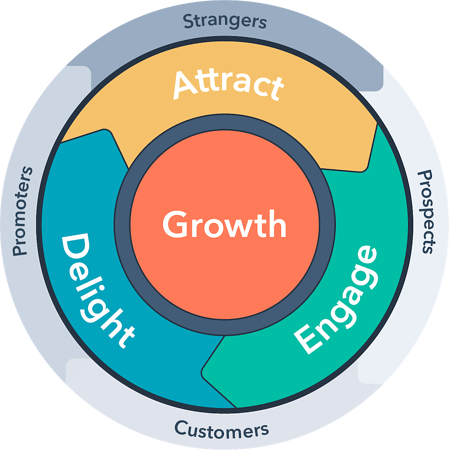 The inbound methodology is focused on three principles: attract, engage, delight. At its core, the inbound experience is a customer-focused way of doing business that is centered on helping people and solving their problems in the ways they want them to be solved. Marketing and Services drive the "attract" stage that draws customers to your business. Marketing and Sales then "engage" the lead and motivate them to convert. Finally, Sales and Service complete the flywheel by delighting the customer with a great purchase and fantastic customer support. Well, not quite. In a truly successful inbound organization, customer "delight" is everyone's responsibility — not just those people your customers may come into contact with after buying something from you. The concept of delight — providing a remarkable experience to users that focuses on their needs, interests, and wishes that leaves them so satisfied, they can't help but go out and sing the praises of your brand — isn't just limited to customers. Great inbound companies focus on delighting potential and existing customers from their very first interactions with the organization — and you should, too. Customer delight is exceeding a customer's expectations to create a positive customer experience with a product or brand. By going above and beyond to create a memorable customer experience with things like discounts, gifts, promotion, or spontaneous outreach to your customers, you can foster an emotional connection and sense of good-will that will make them more likely to be loyal to your brand long-term. Creating an inbound experience whose goal is both pre- and post-sale customer delight can be a competitive advantage for many businesses because happy customers stick around longer than those who have a neutral or negative experience. Simply put, customer delight is to please your customer. Sounds easy, right? But in the context of business, how do you really please someone? In such a competitive modern business world, you can't afford not to make your customers happy. It's easier than ever for your customer to switch using products or services if you don't meet their expectations, and they can publicly share their negative feedback about their experiences on platforms like social media, Yelp, and Google Reviews. Their expectations are tougher than ever, and their recommendations to family and friends are the difference between your business growing or struggling. In fact, the White House Office of Consumer Affairs found that it costs businesses 6-7x more to attract a new customer than to retain an existing one. But despite that fact, only 7% of consumers say that their service experiences with a company exceed their expectations The writing is on the wall: Successful inbound organizations don't just focus on attracting qualified visitors, converting them into leads, and closing them into customers. Instead, they aim to provide an all-encompassing remarkable inbound experience for potential and current customers, too. Do you do all four of these things exceptionally well, across every single interaction a person has with your business? These delight moments can range from someone visiting your blog, to someone checking out your website's pricing page, to chatting with a salesperson, to figuring out how to use your product for the first time, to asking for help using your product, and everything in between. Customer success is all about helping customers see value in your product to help them achieve their goals. So think of customer delight like this: how can you best, most effectively provide value to someone so that they can extract value? Creating a great customer experience means that you're building trust with people so that they stay loyal to your brand and products for a long time. You build trust with people by consistently making the people you're here to serve successful. Let's discuss the four must-haves to delighting and building trust with your customers. 1. Solve customers' (and potential customers’) problems. The first (and perhaps most important) thing your organization needs to do is solve the problems your potential and current customers bring your way. Offering your customers a solution to the problem they face or a way to achieve the goal they're working towards is, after all, why they've come to you in the first place — so don't leave them hanging. Offer your customers the solutions that most align with their individual wishes, needs, and preferences. The same goes for prospects. Even though they aren't paying customers just yet, potential customers require that you solve their problems as well. You can use free tools like chatbots and a knowledge base to address this customer segment without making a major financial investment. The reasoning here is multifold and gets back to the golden rule: help people and they'll help you. If you can prove to your prospects that you're trustworthy and effective when they're not yet even paying, they'll be much more likely to want to do business with your organization down the road. All that goodwill generated pre-sale goes a long way towards easily transforming customers into positive promoters post-sale. A critical aspect of solving problems is responding to them ASAP when they crop up, so a big component of customer delight is being available and responsive whenever they reach out. Whether the issue is big or small, show your customers that you're prioritizing them by responding quickly. Even if you can't solve the issue right away, letting them know that you're working on it or escalating it will give your customers confidence that you're their advocate. Adopting a customer relationship management software, or CRM, is a great way to start managing customer interactions. Using a CRM, you can record and log emails, as well as set up reminders to follow up with clients. Tools that are set up for conversational marketing can sync your customer service cases to your CRM. This allows you to keep pace with all customer communications and provide a more delightful customer experience. 3. Solve for the present and the future. Solving your prospects' and customers' problems is great in the short term, but what will happen next time they encounter a similar problem or are looking to accomplish a related goal? Going beyond just solving peoples' problem and handing over information helps them deal with similar challenges down the road. Empowering both potential and existing customers with education, making recommendations, and helping them succeed are essential to building an inbound experience at your organization. 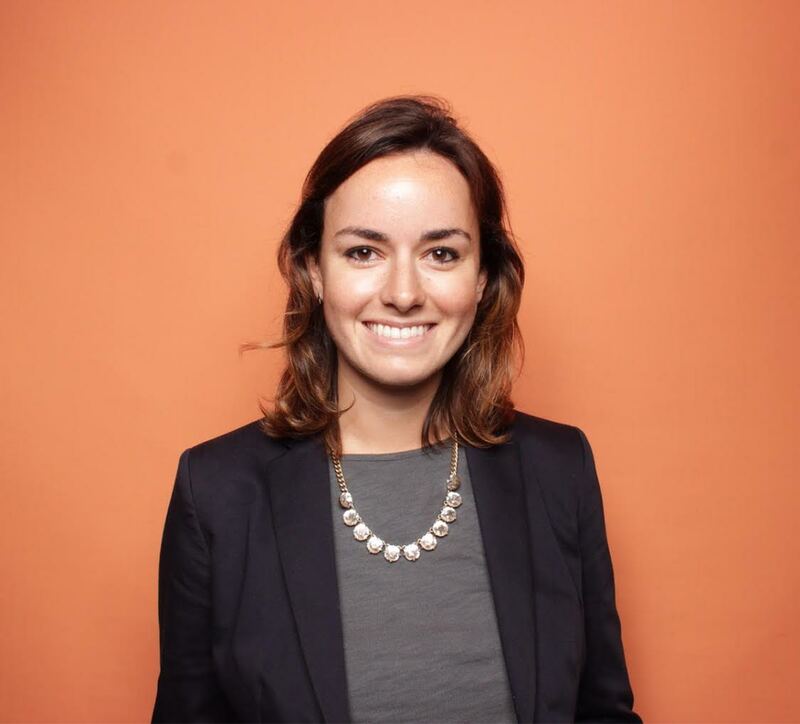 For example, HubSpot offers an academy program that provides free inbound and product lessons for its customers. The benefits of enabling people to reach their goals and solve their problems instead of just arming them with facts are far-reaching for both your organization and the individual themselves. If your prospects and customers get a constant, positive reminder of your company each time they use your advice and recommendations, your company will become known as a helpful, remarkable organization that customers want to do business with. You can achieve this by writing blog posts, sharing tips on social media, and creating a self-service knowledge base. Make sure you understand why people are buying your product or service so that you can figure out how to help them succeed. By understanding what people need from a product or service, your team can exceed customer expectations. Creating buyer personas and mapping customer journeys are two effective ways to build this type of focus on customer success. You need to be constantly innovating your products, your processes and the overall customer experience to truly delight people. Innovation can be large-scale, like a new product or a whole new way to get help with your product. It can also be on a smaller scale, like how you train new employees to handle customer questions or the content formats you're using to help people see value in your product. The other thing you need to be focused on doing well is providing education to people and communicating with people in a way that gets them answers to questions and solutions to problems. You should also be helpful the way your customers want to achieve their goals — whether that's through multichannel customer service options or a self-service knowledge base. 5. Listen to customer feedback. It can be tough to take critical feedback, especially if it's coming from a customer you've built a relationship with. But sometimes the feedback from a customer you've known a long time can be the most valuable. So if a customer comes to you with a complaint, or even if they come to you ripping you and your company apart, take a breath, don't take it personally, and listen closely to what's behind the complaints. Remember, your customer has likely paid your company a lot of money over the time you've worked together, so when things break or go wrong, they want the inconvenience to be understood and acknowledged with empathy — and maybe with a discount or kind note thanking them for their patience. One way to effectively manage difficult feedback is to provide automated software to collect it. Customer feedback software allows you to create and customize surveys that can be linked to the customer's record in the CRM. This gives your customer service team time to research the customer's history with your company, and come up with an effective response before reaching back out. Make sure that in every interaction with potential and current customers, your company's voice is enthusiastic, fun, and welcoming. Precisely what 'enthusiasm' and 'fun' mean for your organization depends on your particular business and industry, but the take-home message is this: if you want to create an inbound experience that truly delights, don't be a dictionary — instead, provide a real, warm, personalized, human interaction that respects your user's time and leaves them happy, satisfied, and educated. If you want your company to stand out from its competitors, then it needs to make a lasting impression on your customers. While your primary goal is to solve the customer's problem, you can create a memorable experience by giving the customer more than what they initially anticipated. Customers expect to see their needs fulfilled, but are truly delighted when your team goes above-and-beyond in the customer experience. You can do this by personalizing each customer interaction, and ingraining a customer-centric culture within the company. For example, personalization software can be used in emails and on web pages to make content feel like it was designed for an individual user. By creating one-of-a-kind customer experiences, your business has a better chance of improving overall customer loyalty. People enjoy the feeling of belonging to a community or group. Your company can supplement this positive feeling by creating a user community that benefits your customers. This community can be used as a resource for sharing useful information or act as a medium for users to submit customer reviews. 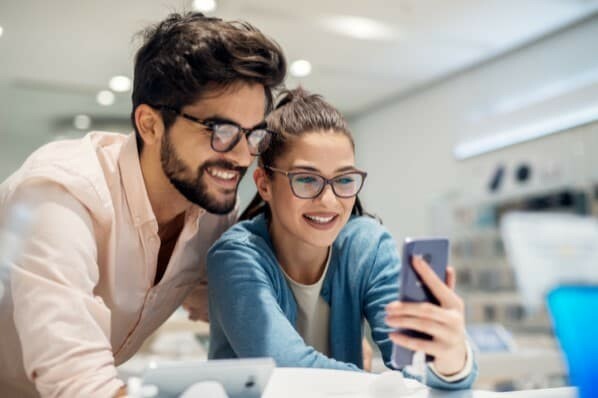 By fostering a space for customers to interact with one another, your business is adding value to the customer experience both before and after the purchase. When considering a purchase, customers primarily trust other customers, so they can use this sponsored community forum to help guide their decisions. Take HubSpot's community for example, where HubSpotters can post and share questions about different HubSpot products. HubSpotters are great at finding unanticipated uses for certain tools, and often share these discoveries on the forum for other users' benefit. HubSpot's engineers love this as well because they use this feedback to guide product development for future add-ons. To learn more, read our ideas for demonstrating customer appreciation.